Mix together creme fraiche, horseradish, Tabasco and juice. 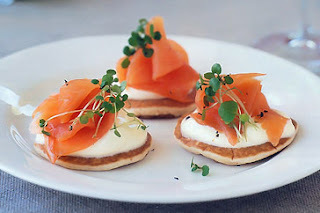 Spoon a little on each pikelet, top with salmon and garnish with cress. Serve with drinks.